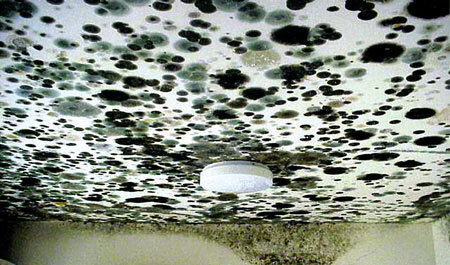 Mold develops where there is excess water and moisture over a period of time. The most effective way to protect your family and property from the threat of mold is to have it remediated immediately by a professional restoration company. PuroClean offers mold removal services to stem the tide of mold, as well as cleaning and sanitization, including mold Odor removal to restore your home or business to its original state. Our professional deOdorization techniques erase mold Odors. Removal of mold can be a serious endeavor, and PuroClean has the expertise and technology for the job. Efforts by well-meaning homeowners can actually accelerate mold growth. Using UV light or high-heat drying has only temporary benefits and can be harmful to people, pets, wood, plastics, and plants. People are often confused by thinking that mold-resistant means mold-proof. It does not. PuroClean's mold removal services are comprehensive, encompassing mold remediation, mold Odor removal, as well as cleaning and sanitization. We team up with environmental hygienists and laboratories, and work to accurately diagnose the damage and protect families from potentially dangerous mold situations. Using state-of-the-science technology, PuroClean's mold remediation professionals first identify the extent of the problem, and then work with care and sensitivity to rescue and restore the area to normal conditions. Once the area has been restored to normal conditions, PuroClean professionals then shift their attention to mold Odor removal. Our professional deOdorization techniques will leave your home or business fully restored. PuroClean professionals are trained and ready to mitigate loss and meet every challenge with professionalism, reliability, compassion and respect. We recognize mold not only damages property, but can jeopardize human health and our goal is to remove this hazard with minimal disruption to the occupants. Our mold remediation process benefits property as well as people..
Our aim is to meet or exceed our customers' expectations - to make them feel as if The Paramedics of Property Damage™ have come to the rescue! We understand your requirements. It's our job. We can provide a complete estimate, including photos, to the agent or adjuster within 24-48 hours, when needed. Our commitment to excellence includes you, which means that you can expect effective, ongoing communication and reporting from us. Each independently owned and operated PuroClean office works with indoor environmental professionals (IEPs) and laboratories in an effort to protect you and your family from potentially dangerous mold situations. Your local PuroClean office is only around the corner so why not get in touch? Take advantage of our special offer! For a limited time only get a free estimation with no call out fee! Get in contact by visiting our Contact page you wont regret it. Copyright © 2014 Gerry Wall, PuroClean. All rights reserved.